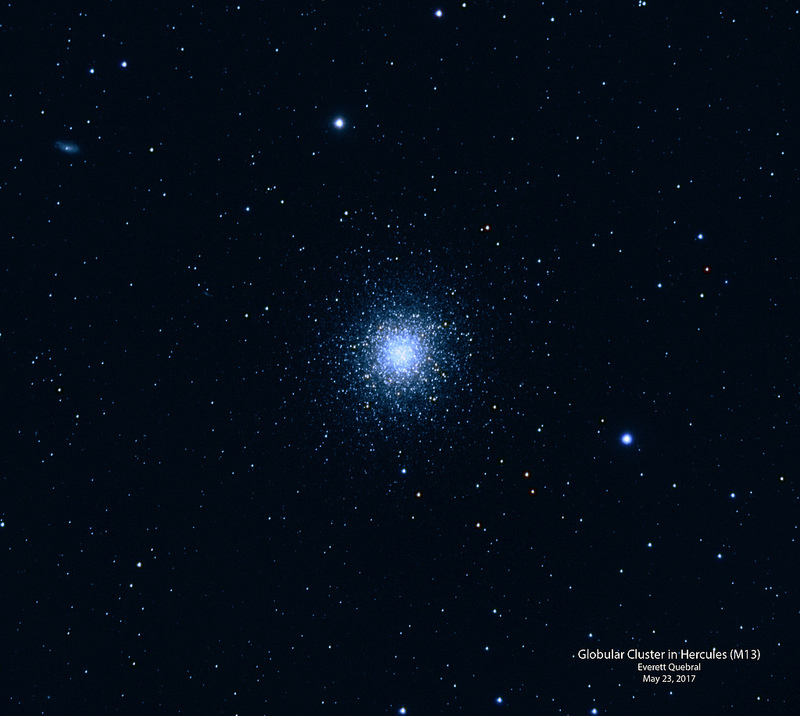 I recently bought an Explore Scientific 3″ Field Flattener .7x Reducer from Highpoint Scientific and was able to test it out having a clear sky last night. 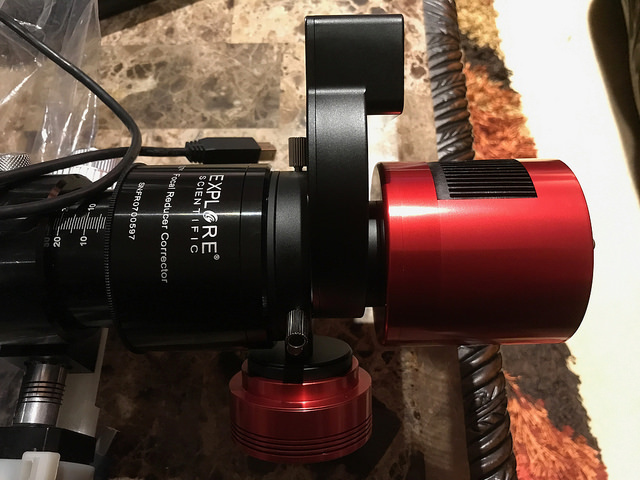 My scope is the Explore Scientific 127MM ED Essential Series with a ZWO MiniEFW and a ZWO ASI-1600MM-Cooled camera. I was so impressed on the flatness of the field and stars are pin sharp up on the edges. Unfortunately it was full moon last night and I’m also living in a place where light pollution is a real problem, and the image below is all the best I can get. Before I continue, I’d like to give the Highpoint Scientific Team a shout out. Their service is top notch and willing to entertain and answer any question. 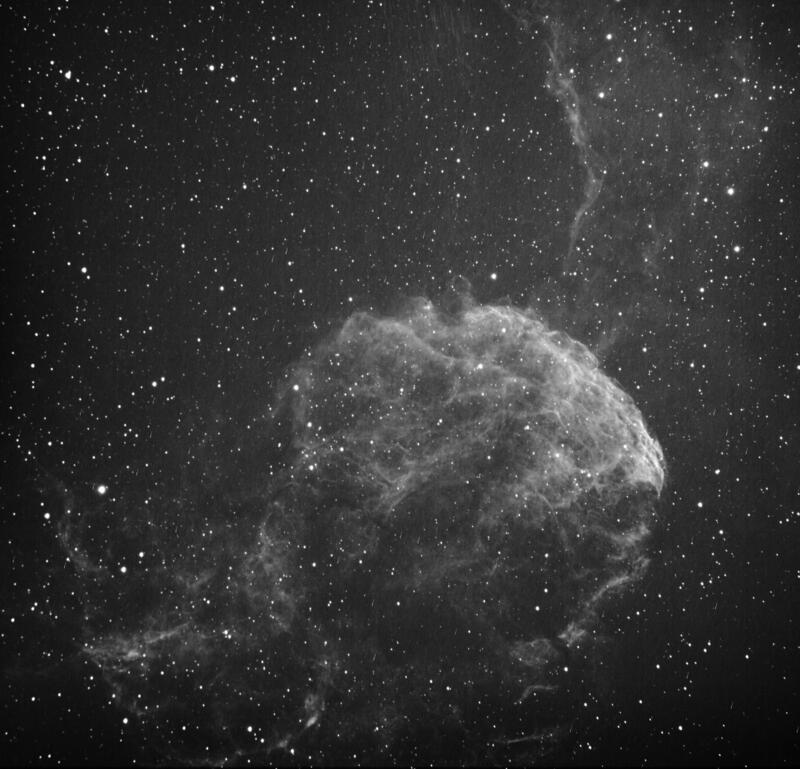 Above is the image, a total of 10 subs x 5 mins exposure using Hydrogen Alpha (Ha) filter. 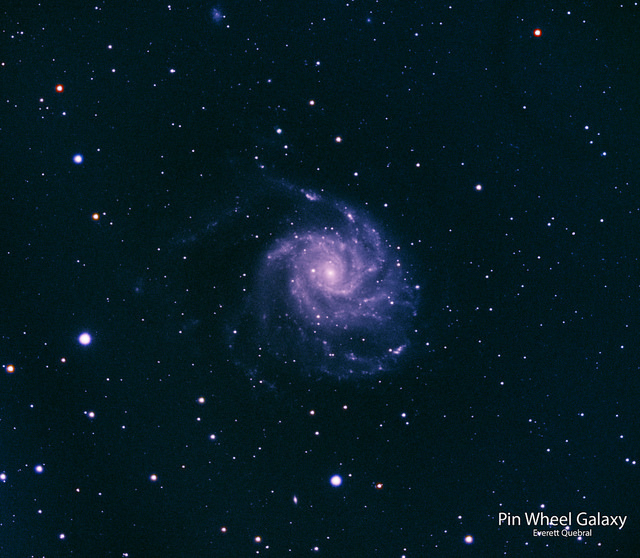 My capture software and pre-processing software is Nebulosity 4.1.2 and for post processing, I used Photoshop CC 2017. I have been using the Explore Scientific 0.7x Reducer/Flatter for a couple of my sessions and below are the images. Giving more information specially to some of the comments below. I have captured and photo of the distance between the camera and the ES 3″ .7x Reducer Flattener. Very nice review and image. Your work is excellent. Could we use this image and review on our website? I notice that you don’t appear to have any spacers. I tried mine out for the first time last night using the 55mm spacing that I’ve been finding online, and my stars are improved on my 127 ED APO, but still not perfect. It doesn’t seem worth the $375 (including 3”-2” adaptor) I spent. Yet looking at your photo, it appears you just slapped it on there and are strong good results. Can you comment on this? I played around with some spacers with it but I was able to achieve a very good result by just following the required space from the camera to the ES 3″ .7x Reducer/Flattener. I have updated the post and added a new picture of the setup with the caliper (no battery) with some annotations. Hopefully that helps. I own a 127mm FCD100 refractor with the 0.7x reducer, so my scope is optically similar to yours. Coincidently, I also have the same ZWO filter wheel. 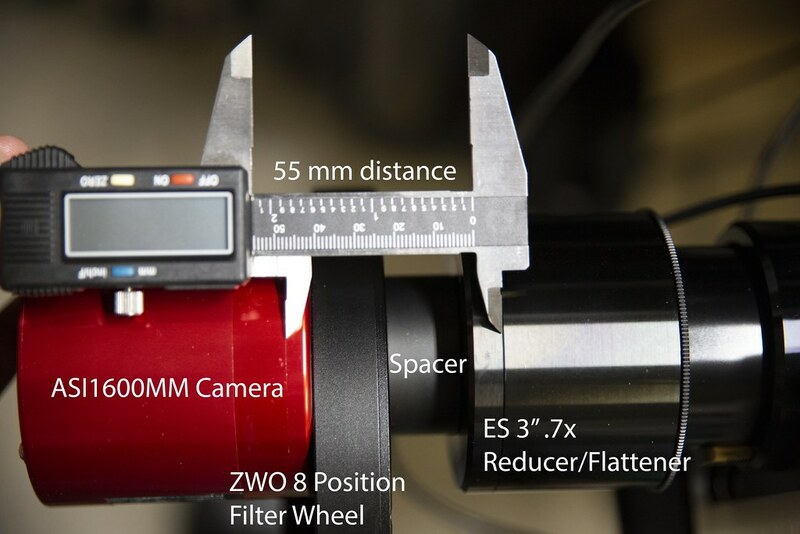 If the filter wheel and spacers were shortened or eliminated, I could reduce the imaging plane distance from 55mm – 12.5mm, or with appropriate spacers, anything in between. That would increase the reduction factor. Do you have the formulae for calculating the reduction factor as a function of this distance? I expect that the focal plane flattening correction wouldn’t be perfect, but possibly good enough. What I’m trying to do is place the full moon on the sensor of an ASI 224MC for the January 2019 lunar eclipse which will be a super moon. Hi Everett, brilliant images. I have the ES102 FCD100, the ES 2” field flattener and the same camera and filter wheel as you. What is the length of the spacer in that last image you’ve posted of your setup?